RUHS Nursing Entrance Exam 2019 exam is organized by RUHS. 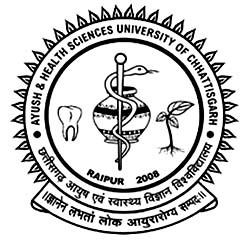 The RUHS is Rajasthan University of Health Science, Jaipur. RUHS qualified candidates can get admission in various private and government colleges of the university. The RUHS Nursing Entrance Exam 2019 Application form can be filled online. The form can be filled in the month of June. Browse for the official website of RUHS. Now, tap on the Student Panel Link. Now, click on Proceed Link. Now, click on Continue. Thereafter you’ll have to fill in all the necessary details in the form. Click on Save and Next button to proceed. Ones have done pay the application fee and you are done. The RUHS Nursing Entrance Exam 2019 Application fee for different courses is different. All the eligible candidates can fill in the application form. B.Sc Nursing · The candidate must have passed 12th from recognised board. · The 12th must be in Physics, Chemistry and Biology. · The minimum percentage of the candidate must be 45%. · The candidate must be minimum of 17 years old. B.Sc Post Basic Nursing · The candidate must have passed 12th from recognised board. 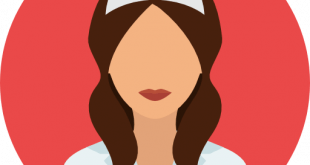 · The candidate must have a diploma degree of Nursing. The RUHS Nursing Entrance Exam 2019 Syllabus is similar to that of 12th syllabus. To view the complete syllabus, visit the official website of RUHS. Total Marks 2 marks for each that is 200 Marks. The RUHS Nursing Entrance Exam 2019 Result will be announced in the month of September. The result will be uploaded online. The candidate can check their result by browsing to the official site of RUHS. Browse for the official site of the RUHS. Now, log in using your application enrolment number. Now download the result from. Take it’s print out and keep it for further use.